The wrapping paper along with the colorful ribbon can be reused as decorative. 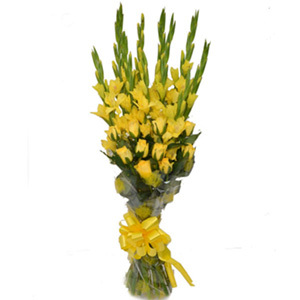 Green fillers used in the bouquet are available according to its seasonal and regional availability. 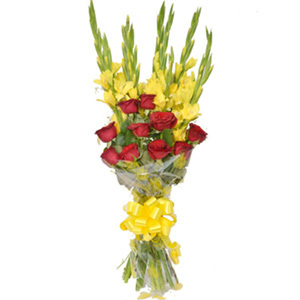 The earliest cultivation of Roses was done somewhere around 500 B.C. Lily can reproduce not only from its seeds, but also from its bulb and tissue. The Lily flower is also associated with motherhood and rebirth according to a Greek mythology. 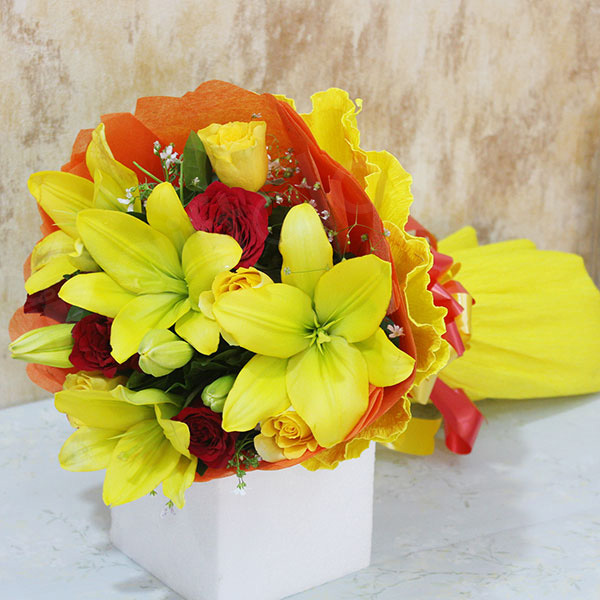 Flowers are synonymous to the perfect expression of love and affection!! 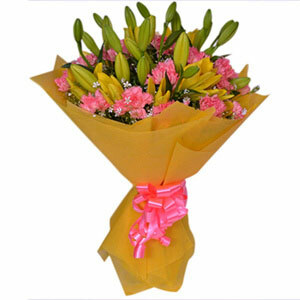 Irrespective of occasion, nothing can bit a gift in the form of a bunch of some lovely flowers. 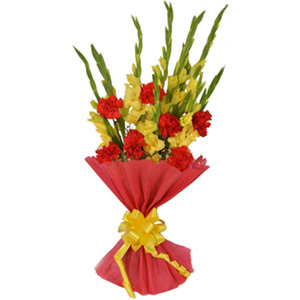 Here we have this perfectly designed bouquet of pretty flowers that you can choose to gift on any occasion. Just don"t forget to place an order.